Is it really paranoia if they truly are out to get you? Or something else? This ad from AARP touches the boundry. Government conspiracy, martial law, the whole bit. I’m beginning to feel like we’ve moved into the Twilight Zone. We report – you decide. Al-Arabia reported that the Iranian Navy has confiscated the American trade vessel with all its 34 crew. Other reports said the vessel has been seized for trespassing on Iran’s territorial waters in the Persian Gulf. An Iranian warship is now taking the American vessel to Iran’s Southern port city of Bandar Abbas in the Persian Gulf. Iranian officials have not confirmed the development yet, but Reuters said Pentagon officials have confirmed the report. Also reporting on Fox News. Speaking with former navy personnel, the Blog has learned that US flagged ships that would be operating over there (since Panamanian and Bahamian registry is so much easier) would be a civilian US Navy supply ship. USNS ships, manned by civilian crews, would supply the CVN-70 with fuel and cargo when at sea. A US Navy civilian ship in custody would be huge news, and an opportunity for Obama to bow and scrape. He is no doubt, very busy practicing right now. Update: Pentagon spokesman said the vessel involved was flagged to the Marshall Islands and that no Americans were on board. Since the 23 Apr scheduled Texas execution for Richard Vasquez was stayed, I thought instead I would post a fascinating article by John Nantz at Townhall. To preface the article, I have found it fascinating and troubling over the past decade to encounter the various arguments opposed to the death penalty. I concluded many years ago that whether they were people with uninformed good intentions or intentionally determined to destroy society, the result is still the same. The anti-DP arguers often make reference to Christianity and that we should be forgiving, or mock those of us who are Christian and fully support execution. Many won’t refer to the Old Testament and instead focus on the life and teachings of Jesus, while ignoring or never realizing Christ himself stated clearly that he did not abrogate God’s laws that came before him. That said, there are some fascinating Biblical references in the Nantz article, which can be found HERE. If you follow current events, the John Doe investigations in Wisconsin may ring a familiar note, and likely it is something that you are familiar with by name and vague generalities only. I was aware that that Governor Scott Walker had been investigated for campaign illegalities and had been exonerated, and that the investigation was given the name “John Doe” because the names of possible co-conspirators were unknown. a process whereby rogue regimes or organizations abuse legal doctrines and processes to accomplish through sheer harassment and attrition what can’t be accomplished through legitimate diplomatic means. It is hardly a new concept. The very same Democrat Party used these tactics over 50 years ago in my home state of Mississippi. 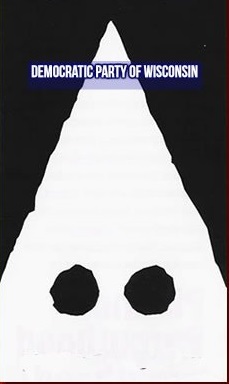 The primary enforcers of Party doctrine in those days was the Ku Klux Klan. The victims were Black Americans who wanted nothing more than to exercise their First Amendment rights, and to participate in the political process and vote. In turn, they were subjected to harassment, intimidation, and much, much worse. It didn’t end with a kumbaya moment of clarity on the part of the Democrats-In-Charge. No, it ended with the exposure of the criminal activity, arousal of public opinion, and by the direct intervention of the FBI. In Wisconsin, the victims were Tea Party conservatives who wanted nothing more than to exercise their first Amendment rights, and to participate in the political process. In turn, they were harassed, intimidated, and threatened with jail if they even spoke about the investigation. Personal property was illegally seized. Raids on conservative families were conducted by local Police in the dead of night. The enforcer of Party doctrine was the Wisconsin Judiciary, who rubber-stamped every subpoena and warrant requested by a Democrat District Attorney in this modern day witch hunt. Until this moment, there has been no exposure of the criminal partisan activity in Wisconsin. There has been no opportunity to arouse public opinion. The secrecy surrounding the John Doe Investigations has been all-encompassing, allowing for only the barest of details to emerge – selectively leaked by the DA. Appeals are currently pending in both the Wisconsin Supreme Court, and the US Supreme Court. The Department of Justice is absent, complicit by its silence. No intervention by the FBI is forthcoming. Now, we are awake. And we are watching. 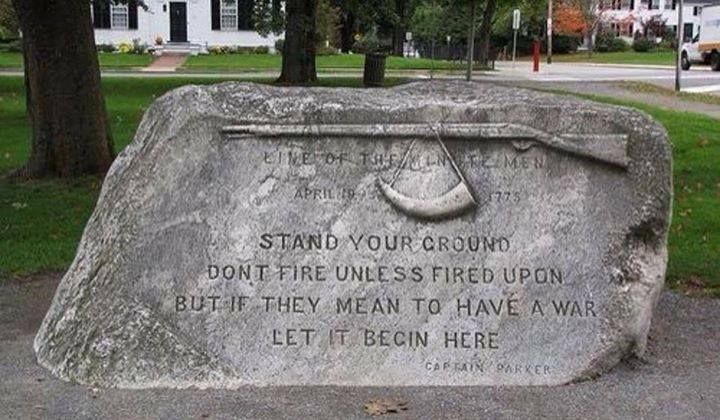 Don’t fire unless fired upon. Some time after 6p.m. CDT this cop killer will cease to exist. Unfortunately for the family of Officer Riojas they have received a life sentence of sorrow due to the murder. It has been fourteen years since Officer Riojas was murdered, his daughter was two years old and his son eight weeks at the time. Mrs. Riojas has not married again. HERE is a nice piece on Officer Riojas and the effect it has had on so many. HERE is the Texas Attorney General’s media advisory for Garza’s execution. Make note of the lengthy criminal history for such a young man, the future looked bleak for the citizens of Texas had this cretin not been stopped. At this time there are no known last minute appeals, the procedural process seems to have reached its conclusion and Garza will become the sixth murderer to be executed in Texas this year. My sincerest best wishes for the Riojas family and the SAPD. May this service of justice assuage some of the agony they have endured for the past fourteen years.